Snow Alert: You all know that Western Canada has been blasted with snow all winter, right? Well, Kicking Horse Mountain Resort has had 804cm (316in) of snowfall so far this season, exceeding its winter average already! The base is at 204cm (80in), with 145 runs wide open and all those amazing chutes and bowls! 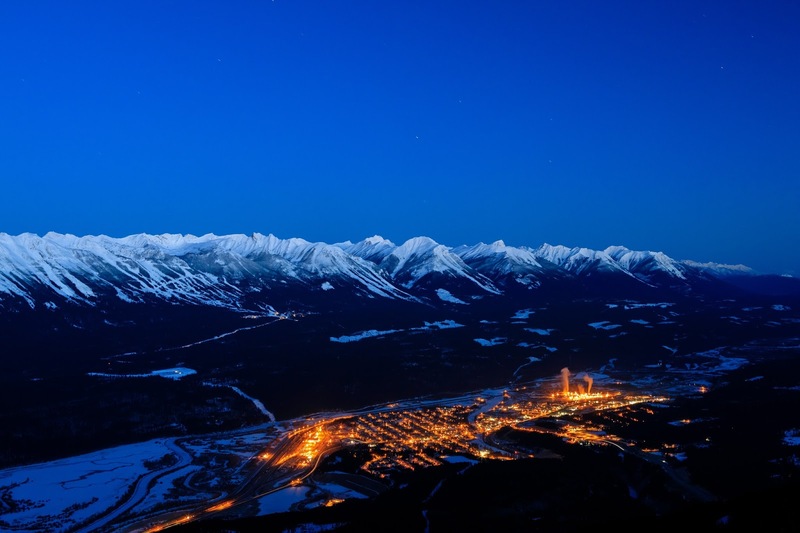 What you may not know is that Kicking Horse Mountain Resort is part of the gentrifying community of Golden, BC. One of the indicators that a ski town is getting on the mainstream mountain map is when it gets its own craft brewery. Not only does gorgeous Golden now have the Whitetooth Brewing Company, but it also won a second place award for one of its beers at the BC Beer Awards in 2017, its first year of business. Swiftly becoming THE après ski hub, Whitetooth is the brainchild of Kent Donaldson and partner, Mark Nagao who both live in Golden. When the budding business was still in the idea stage, Kent built a garage at his house first to install a home brew pilot system. Having chosen a big plot of land in central Golden, he coordinated the design of a new brewery building, upscaled to gleaming stainless steel commercial grade equipment, and hired Evan Cronshaw as Brewmaster to collaborate on the redolent recipes. "The pilot brewing system in the garage was a very useful testing ground in the development of the final beer recipes," Kent recalled. 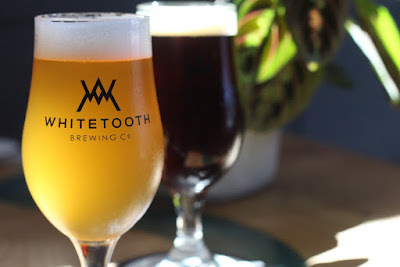 Morph to now and Whitetooth Brewing produces 12 beers on tap - six core brews and six limited selections - which are quickly taking over the town. "Our beer is in most of the Golden restaurants and bars, at all the liquor stores, and also up at the bars on the mountain," said Kent's wife, Shelley Donaldson who I met recently when she was helping out in the tasting room. Beers are named for local attractions and pursuits: for example Icefields Pale Ale for the nearby glaciers on the Icefields Parkway, Speed Metal Stout as a nod to mountain biking, Thread the Needle Witbier for kayaking, Whitetooth Session Ale for rock climbing, Launchpad Rye Ale for paragliding, Blower Pow IPA for skiing as well as Truth, Dare and Consequence Imperial Stout which are ski runs at nearby Kicking Horse Mountain Resort. 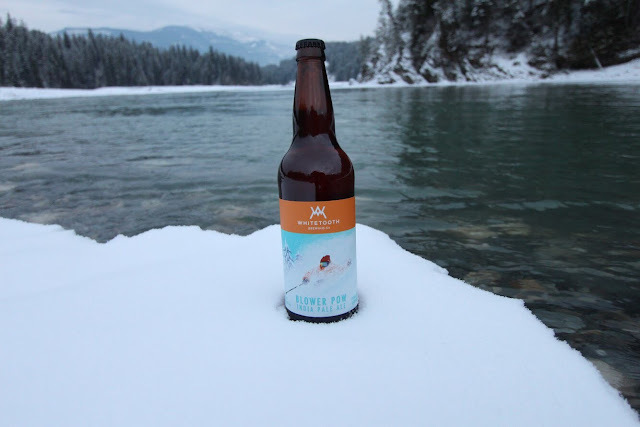 "We're very excited to be producing a special limited release beer for the Freeride World Tour at Kicking Horse this season," Shelley told me. With eye-catching aqua resin rivers decorating the slab tables, the tastefully-decorated tasting room is attracting locals and tourists from 2pm to closing time at 10pm. And filling growlers and kegs is also popular for home entertaining. There's a great panoramic patio for spring, too. 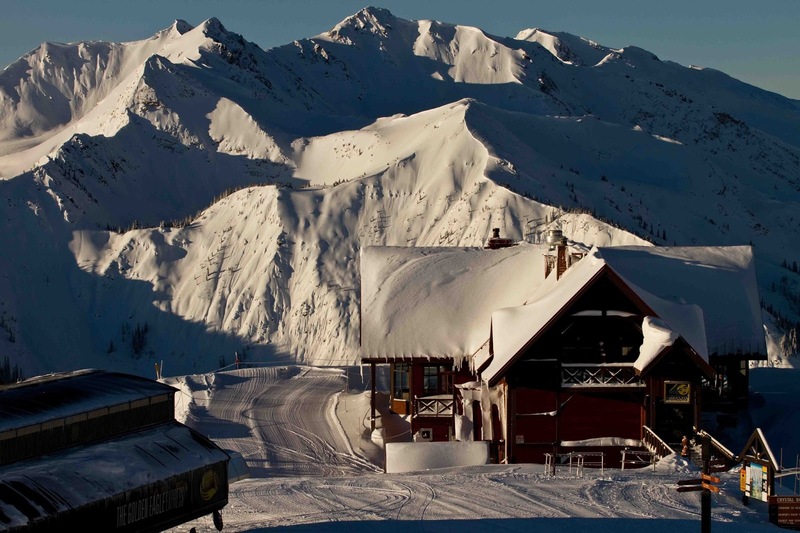 "One of the attractions for the Donaldson family locating to Golden was the stellar alpine terrain and dry powder snow found at Kicking Horse, and the laid-back authentic vibe of this mountain town," said Kent. 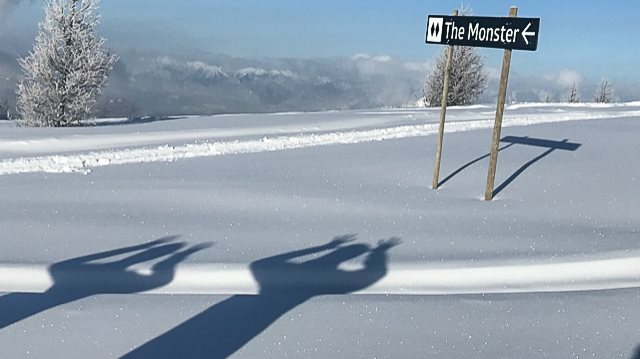 "Ironically, the demands of the brewery have cut into play time at the hill but morning laps on the gondola are still frequent on powder days, especially during peak snow months February and March." Golden in general is gradually gentrifying with an al fresco focus around the huge array of sports and outdoorsy pursuits over three mountain ranges: Canadian Rockies, Selkirk and Purcell. Outdoor action includes resort skiing and snowboarding at Kicking Horse, snowmobiling, cat and heli skiing, Nordic skiing, ski touring, snowshoeing, ice fishing, ice climbing in winter and sky-diving and gliding, hiking and heli-hiking, mountain and road biking, climbing and mountaineering, canoeing and kayaking, paddle-boarding, rafting, trail running, wildlife watching, horse riding, golfing, quad and dirt bike riding, and fishing in summer. 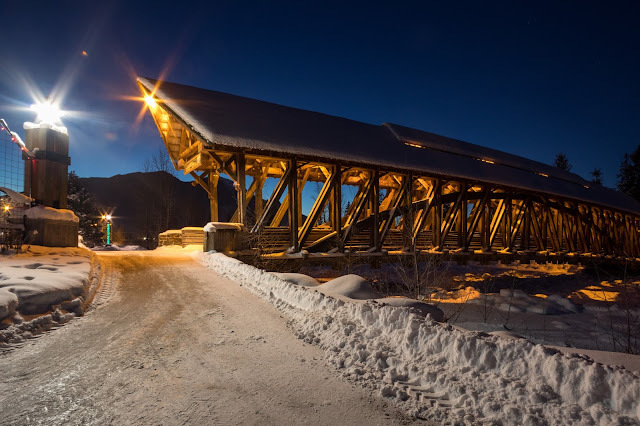 The town is famous for its timber pedestrian bridge over the Kicking Horse River which was built by an international consortium from the Timber Framers' Guild together with local volunteers and sponsors. The magical mountain motif of Golden, with its mantra of 'Authentic Community Adventure', attracted the Haywards, a British couple, to buy a beautiful bed and breakfast property there in May 2015. 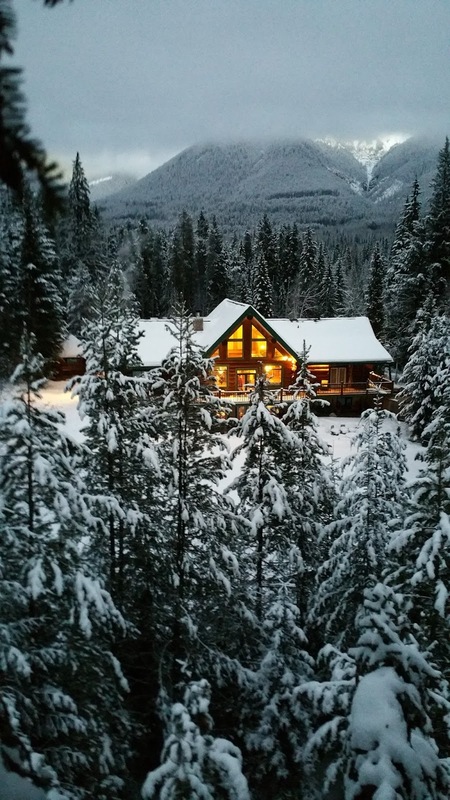 Built from gleaming Golden Spruce, Moberly Lodge took off right away. "After a few upgrades and all new linen, towels and a few other things, we registered for Booking.com and Expedia and it all snowballed from there," said Lucille Hayward. "We went live on Booking.com one evening and woke up the next day to find a dozen bookings overnight." 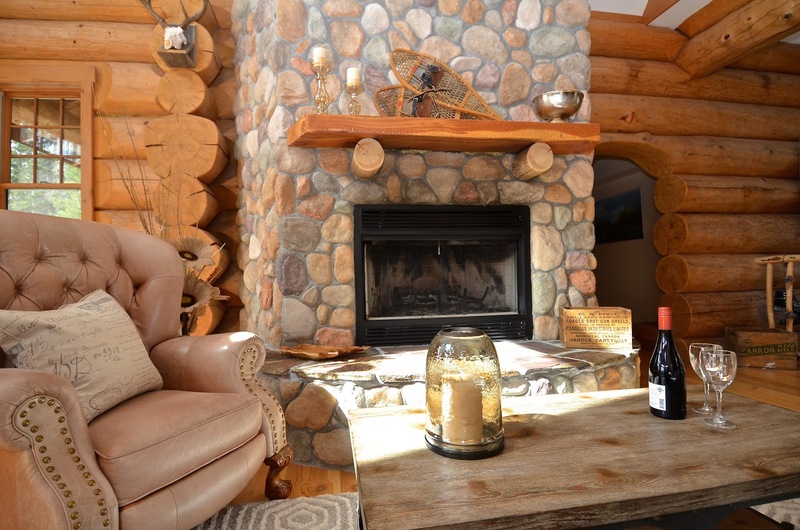 The Main Lodge and two Self Catering Cabins are booked solid from May to Thanksgiving and see a regular flow of visitors - some ski, some sledders, business travelers, general tourists - throughout the winter. You can even rent the whole property over New Year for the quintessential Winter Wonderland holiday retreat. Highlights for winter visitors are the roaring fire in the Great Room, a muscle-massaging hot tub with its own roof on the front porch area, and family-feeling hospitality to cater for your every need. Lucille is an ace bread-maker and breakfast chef (think oven-baked feta/spinach omelettes, fruity parfaits, and creamy pancakes) and husband, Jonathon - a former Major in the Royal Engineers - is a dab hand at maintenance and construction. A third cabin is underway on the 12 acre woodland plot to accommodate the growing summer market. They are both keen sportspeople, Lucille preferring skiing at Kicking Horse and Jonathon a fervent fan of hockey. "Every Wednesday and Thursday I join Endless Tuition, which is a ski class for all levels, intermediate and up," said Lucille. "Skiing with a group of people, you have that security and you are always learning. We did moguls today. I can now do most things on the mountain except for the double black chutes." 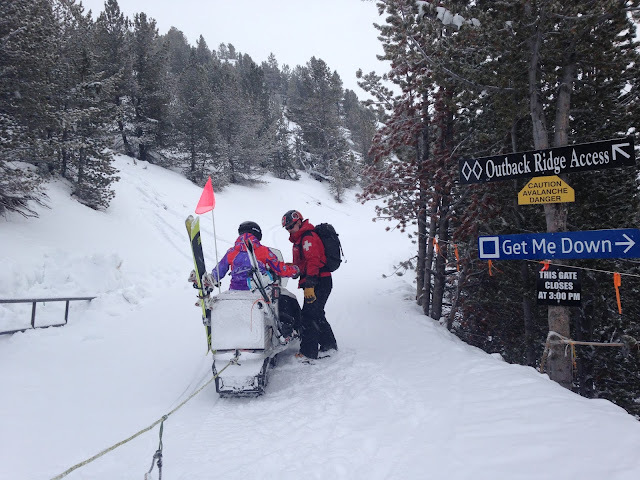 She hopes to tackle CPR Ridge, negotiating one of the chutes into Feuz Bowl later this season. Although Jonathon is hockey-oriented - on the local team and a kids' coach - he is also getting the ski bug. "I learned to ski in Garmisch, Germany originally and now I'm starting the Sunday program at Kicking Horse called Adventure Skiing," he said. "I also ski a bit with a couple of guys from the hockey team." Their two sons, Jack (9) and Finlay (4) are also in ski lessons at the home hill, where there is a huge array of tuition choices for every age and level. To stay at Moberly Lodge yourself, go to http://www.moberlylodge.com/; call 1 250 344 6676; Email: lucille@moberlylodge.com or admin@moberlylodge.com; or find them on Facebook: https://www.facebook.com/moberlylodge/; or Twitter: https://twitter.com/MoberlyLodge. 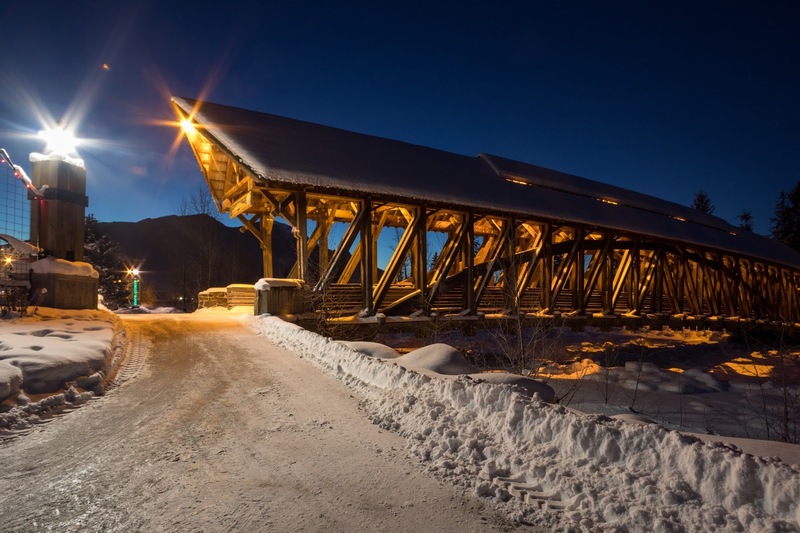 Many people choose to stay on the hill at Kicking Horse for the ski in/out comforts, but even those visitors should try a trip into town to get the bigger picture of the area. For example: great dining at the Whitetooth Mountain Bistro - which focuses on local, sustainable, healthy, veggie, vegan and gluten-free offerings - creative coffee and lunch at Bacchus Books & Café, the artsy cottage Eleven 22 restaurant for modern comfort food, eclectic one-off shops in Main Street, and the local art scene anchored by the Art Gallery of Golden. 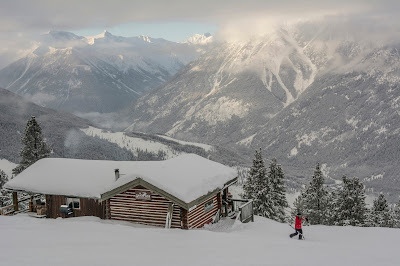 Back to the sensational skiing at Kicking Horse: this is a Purcell powder paradise with a unique mix of mega mountain views, ridge and chute skiing, gnarly hikes, big blue bowls, and dedicated learning lift and terrain. If you take the gondola, then ski to the Stairway to Heaven chair, then ski from the top back to the gondola base, the whole loop takes over an hour - and you will be grateful for the gondola rest. Eagle’s Eye Restaurant is arguably the best summit stop-off anywhere with heart-stopping views (voted Best View from a Bar Stool by Ski Canada mag), glamorous upscale mountain-modern décor, magical menus, and topnotch service. So gorgeous that it hosts over 50 weddings a year, many in the winter. And this season they introduced their own beer - Kicking Horse Ale now on tap. As well as staycation tourists, Kicking Horse attracts Banff and Lake Louise-based visitors who can hop on the Powder Keg Express shuttle with is free with the purchase of a Kicking Horse adult lift ticket. Alchemy of Ride's Lynne Harrison regularly skis there from her Canmore home: "It has super great steeps and that CPR chute wow," she says. "There are loads of natural features to ski on or jump off and Eagle's Eye Restaurant has fantastic views and great food." The “Powder Highway” refers to the group of authentic ski towns and resorts of the Kootenay Rockies in British Columbia. 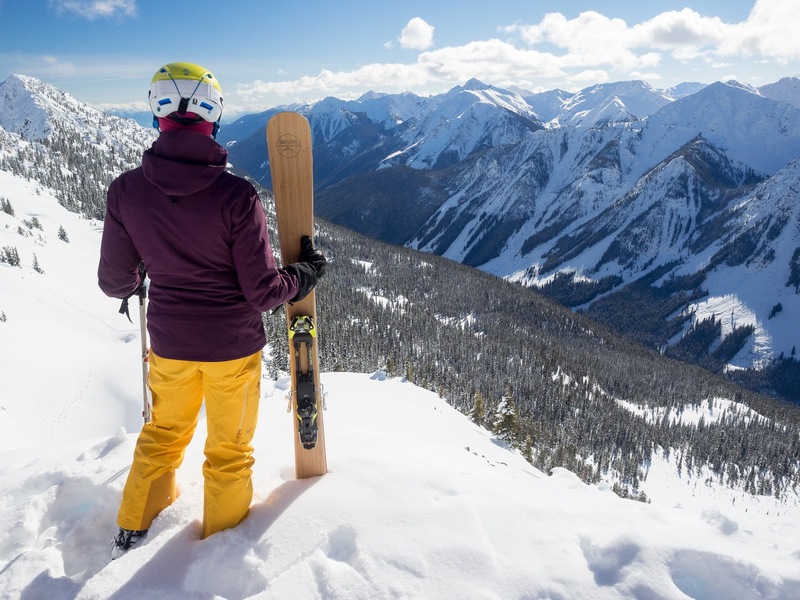 Kicking Horse Mountain Resort is a constant favourite known for its consistent conditions and is officially trademarked as the Champagne Powder Capital of Canada! Dine, Stay, or get Married at 7,700 feet! Not only is Eagle’s Eye the Highest Elevated Restaurant in Canada, but also is home to two luxury suites, where you can sleep on top of a mountain with all the amenities of a high end hotel. Dinner service is every Friday & Saturday night in the winter; however you can reserve the suites any night of the week during our operating seasons. 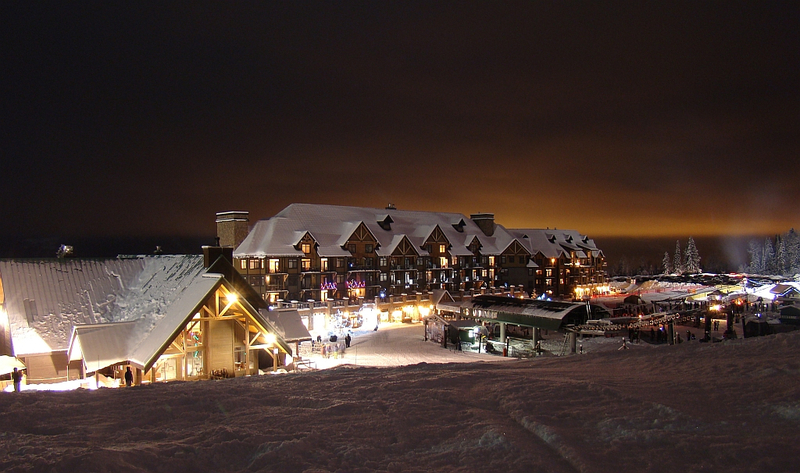 A night at Eagle’s Eye includes a private chef, butler and instructor guide to help you get around the mountain. Perhaps the best perk is guaranteed first tracks in the morning. Each season the best in the sport gather on the Kicking Horse Mountain Resort slopes and compete in the IFSA Freeride World Qualifier event, last year being the only resort in Canada to host such a prestigious competition. With a recent new venue being introduced the comp has got even better with it now being on the Truth or Dare run off Terminator Ridge. Kicking Horse Mountain Resort is home to the world’s largest grizzly bear protected habitat in the world! See the resident bear, Boo, in action during the summer and during the winter, what do bears do? Hibernate, and that’s just what Boo does, right on the ski hill! Ride by him hibernating away in his home on the Grizzly Paw Run (#18). It’s easy to see why Golden is the ideal base for skiing enthusiasts. With the biggest concentration of back country lodges in Canada, 4 heli and cat skiing operations in our backyard (including the world famous Rogers pass at our doorstep) it’s no wonder we’re a top hub for die hard skiers from all over the globe. NEW this season: heli ski and be picked up right from Kicking Horse Mountain Resort, now that’s service! What’s a better backdrop to relax and recharge than surrounded by Mother Nature. We have 3-4 mountain top yoga sessions during the winter, all are FREE and led by Golden local Jessica Pyper. These are held at the top of the mountain, on the Eagle’s Eye Restaurant Terrace, giving the ultimate environment for your yoga session! After a long summer season of anticipation, the Freeride World Tour (FWT) launched the official competition calendar featuring a completely revamped competition schedule for the 2018 season. This year, the FWT unveiled two brand new locations for the opening events in Hakuba, Japan and Kicking Horse Mountain Resort, Golden, BC, Canada – two legendary freeride destinations. 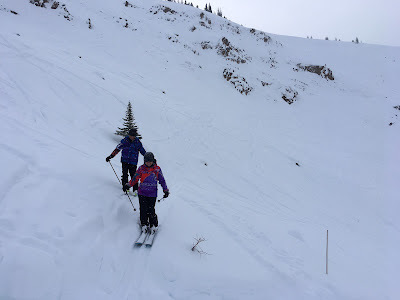 The FWT was at Kicking Horse from February 3rd – 9th. An affordable 2 day clinic led by a Golden local: “Led by women, for women. “Whether you are an intermediate skier/rider looking to build confidence or an advanced skier/rider eager for the challenges of double-black-diamond terrain, this clinic is designed for women looking to boost their confidence on off-piste terrain & learn some tricks to explore expert terrain with other great women. 'Ski like a local, eat like a local and drink like a local' - that's the latest mantra at Panorama Mountain Resort which is in the midst of a daring development and rebranding plan. Check out the website, which already sports the new look, courtesy of nearby Kootenay company, Story & Co. Food and Beverage Manager, Richard Matthews is noticing the success of this local focus just by looking at draft beer sales, particularly from the nearby Arrowhead Brewing Company. "It’s just gone crazy, craft beer is so on trend right now and it’s really working for us," said Richard over beer-infused cocktails at Restaurant ElevenFifty. "And it’s all about supporting local in our beverages as well as our food." Decadent Dining: The dining gets more diverse each year, with the new Cliffhanger Restaurant offering topnotch steakhouse fare as well as pastas and risottos at reasonable prices. 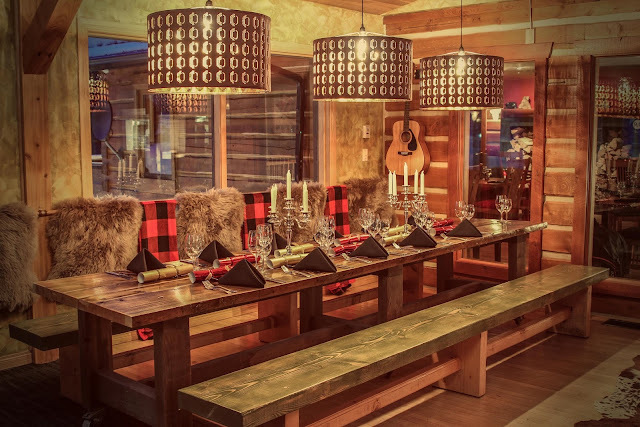 The Earl Grey Lodge now offers two CABIN eateries - the Restaurant, appealing to families and couples, and the Smokehouse pub, attracting locals and Millennials. Owned by ex-pat Brits, Phil and Claire Marshall who moved to Panorama in 2003, the cute cabin-style BnB was voted one of the best places to stay in Western Canada by Ski Canada mag and, just recently, in the top 25 small hotels in Canada in Tripadvisor - ideal for an Alpine-atmosphere ski vacation, retreat, reunion or wedding party. The 'hut to hut' experience at Panorama is also reminiscent of my European ski days, with options of skiing to the mid-mountain Mile 1 Hut at the top of the first lift (for fondues and great panoramic patio); or accessing the Elkhorn Cabin from the Champagne Express chairlift for cute cabin comforts and wonderful bison raclettes as well as a wrap-around terrace; or stopping off at the Summit Hut for Auntie Lil's un-missable oatmeal chocolate chip cookies, brats, perogies and the loftiest views over the valleys. There's a great chef at Summit this year, too, who dances and sings while he serves (a Brit, incidentally)! Pat Bavin's artwork adorns both the Summit Hut and Elkhorn Cabin. Skiing at Panorama since the 1960s, Bavin has run ten businesses in the Columbia Valley area, starting with ski rentals and ski instruction and moving on to encompass ski race coaching in the 70s. He became involved in ski race organization committees and course prep at the national and world level and later worked in town and resort planning. His business grew to include ski shops in Invermere, Athalmer, Whitetooth (now Kicking Horse) and Fairmont Hot Springs. But alongside these commercial undertakings, Bavin was training in glassblowing. He opened his own 'hot shop' and gallery in 1988 - Bavin Glassworks - which in 2001 moved to its current site in Invermere where he partners with his son Ryan, now the master glass blower. "In 2004 we established a concession contract with Panorama for an art gallery and glass beadmaking and teaching facility known as the Bavin Glass Cabin," Bavin told me. Now under the new name of Saffire Bead and Flameworks, it is part of Panorama's wide range of unique après ski activities. 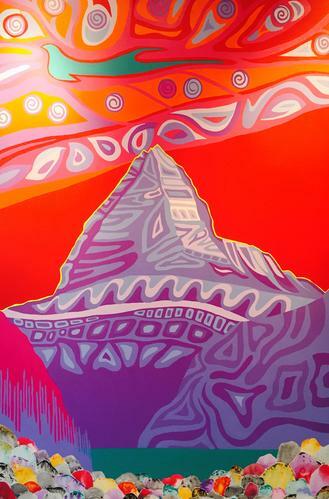 "In 2001 I started painting which is now my main creative passion," said Bavin. "Today, one of my key motivators is the environment and management of recreation in high places." Bavin is a great fan of Panorama's consistent downhill fall line: "Especially runs like Stumbock, Downhill and Fritz. For natural rolling terrain I like the Founders' Runs and Heaven Can Wait. 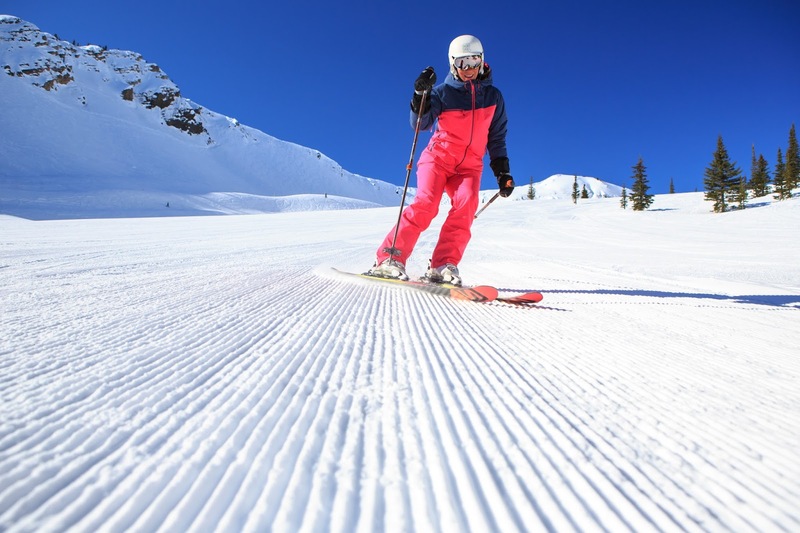 As the sun works its way north, late February and March becomes my favourite time of season to ski – it's warmer, days are longer and the classic butter cut skiing is a delight." On powder days, he hangs out in Taynton Bowl with stops at Summit Hut to power up on locally-made bratwurst and coffee - and tanning session - then drops back into the bowl. 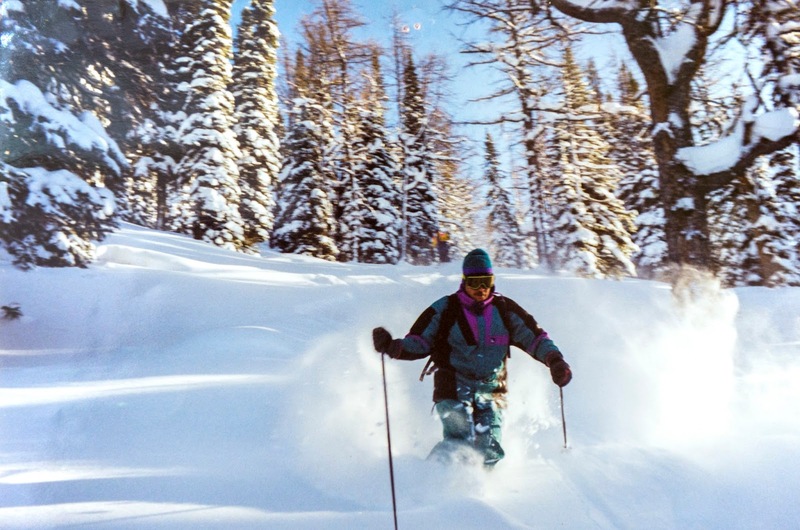 "Some of the best powder in Taynton comes in late January and February and mostly at night," he says. Panorama Passion: President and CEO Steve Paccagnan is full of forward thinking ideas for Panorama. Part of this vision is to replace the Pine Inn with a state-of-the-art boutique hotel, catering to contemporary needs. "We've seen the emerging trend of refurbs in hotels and motels and we've done a lot of research, talking to Yotel, looking for ideas," Steve told me over coffee and croissants in Lusti's Cappucino Bar in early Jan. "I looked at the Base Camp idea in Tahoe and Jackson Hole. So, we're bearing in mind all these ideas for our boutique hotel and addressing all the Millennial needs. For example, smaller but really ergonomically-designed rooms, where the lobby becomes the main focus with a really good bar, large social areas and a stage for live music." A passionate proponent of mountain pursuits, Steve had been persuaded by his son Ben to skin up to the top of the mountain that morning before the lifts opened so that Ben could try out his new snowshoes on the way up, strapping skis on his back for the downhill descent. Breakfast or afternoon tea at Lusti’s is highly recommended by the way. 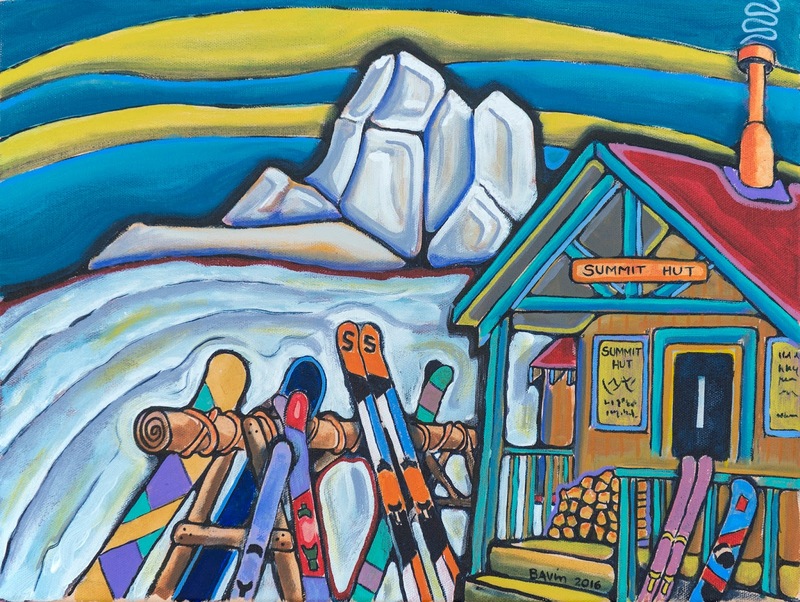 Voted the Best Smelling Ski Shop by Ski Canada mag, it is a fun combo of state-of-the-art ski service and rental outlet with a cosy coffee bar. "We didn't know that Ski Canada was here but I think we must have just baked a fresh batch of cookies," said Jane Lustenberger, Lusti's wife. "But you can also smell the coffee from outside." 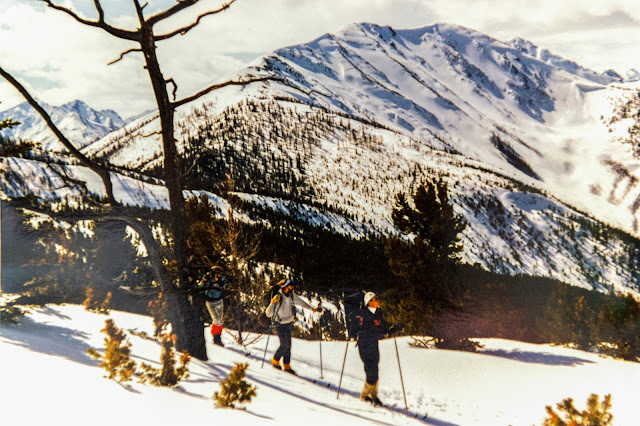 The Lustenberger family has been based at Panorama since 1980, bringing up two ski-mad daughters, Christina and Andrea - now both mountain guides based in Revelstoke. Christina is a former Olympian, competing for Canada in 2006. "I came to Canada in 1974 and first worked with CMH heli-skiing which is where I met Jane," Lusti told me. He first got the idea for the ski shop/coffee bar out of personal need - it was too far to walk to the nearest caffeine vendor! "When Intrawest bought Panorama and we were moving to a new building, I asked if we could have a cappucino bar attached to my shop." Ski in/ski out: Staying at Panorama is a bit like watching a modern-day kids' movie targeted at the whole family – on the surface focused on kiddie entertainment, but with an equally strong sub-text of adult attractions. We were in a wonderful apartment in the Lodge of 1000 Peaks, just opposite Earl Grey Lodge at the front and an swift scoot to the ski slopes on the other. Other benefits: short walk past the fairy-lit skating rink to the huge hot tubs (where you can meet really interesting skiers and snowboarders from all over the world, particularly Aussies and Kiwis, many visiting offspring or friends who are working the season at Panorama) and close to the cutest Candy Cabin. 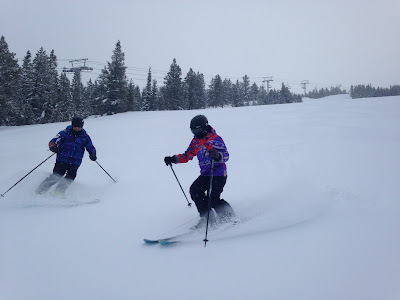 Free Guiding: One of the first things I always do at a resort is ski with the free hosts. Called Mountain Friends at Panorama, they are highly visible in their yellow jackets and have great local knowledge of the slopes, snow, lifestyle and culture of the area. One of ours was Gary Kazimer who owns a condo on the hill. Working weekdays in Calgary, Gary skis Panorama at weekends and holidays with his family. He took our group of five black-run skiers to endless soft snow in the Sun Bowl. "It's a very quiet area even on busier days," he said, and that day in early January it was deserted. We found carefully-contoured bumps in glades such as Schober’s Dream and also Alive - named after the movie that was filmed there. Another movie shot in Panorama was The Mountain Between Us, for which RK Heliski transported actors and crew up to the more remote peaks in the Purcell heli-skiing domain. Sensational Snowmaking: A recent investment of nearly two million dollars in the latest snowmaking technology has resulted in perfect Panorama pistes this season. Resources include a new pump station and the latest technology to make better quality snow during a wider range of temperatures with a focus on energy efficiency. Together with this, the resort has been favoured with great snow this season. "Part of it, is having a good base. The other part is slope preparation. Pushing snowmaking around, moving snow to make an adequate depth and then we grade it," says Bryan Kroker, Panorama's Slopes Manager. 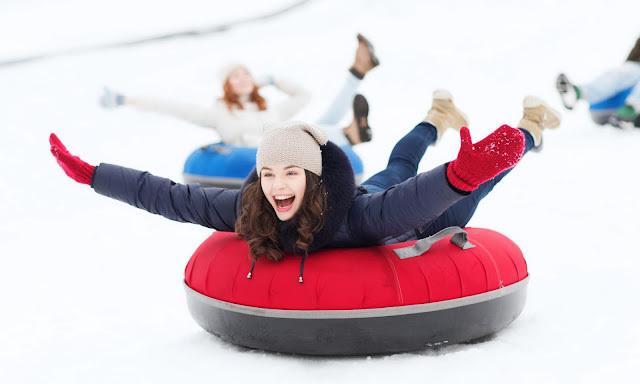 "Next we get all the air out of it to make it consistent and we then till it with a snowcat two to three times before the guests even get to it." 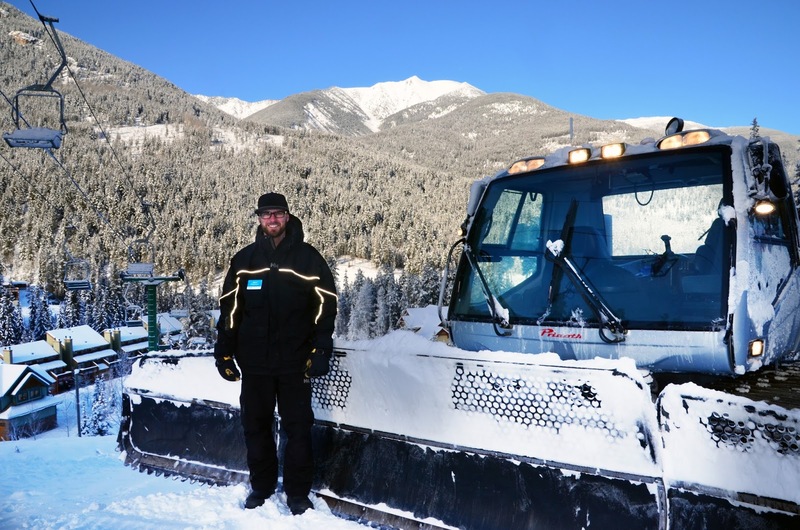 Kroker, who recently moved from Lake Louise, has travelled the world as a slope manager, working in Australia for six seasons and running his own company: "As a snowboarder myself I want it to be perfect. I work for the snowcat manufacturer, Prinoth, and when they release new products I go and demo them." Achievements: Panorama Mountain Resort was awarded North American Resort of the Year in the 2016 World Snow Awards presented by The Telegraph Ski and Snowboard. This was an amazing accolade in recognition of the resort's continued improvements in service to the public. Banff shuttle service every Tuesday for only $99 including a Panorama lift-ticket and same-day round trip transfer. 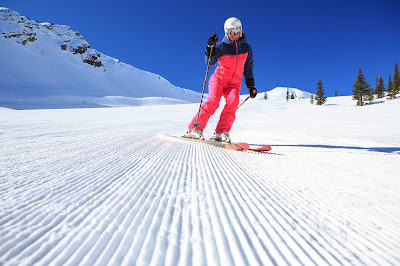 New Photodegradable, non-rip piste maps: When all you want to do is rip the right runs, it can be rather frustrating when you rip the piste map in half at the folds. Panorama’s new maps are so resilient to wet weather and ski-gloved mishandling that they will not tear however much trauma they are subjected to. They can be kept outdoors in racks by the tissue box stands with no damage regardless of weather. “I tested them at trade shows by leaving them in a bowl of water all day,” says Jamie Hurschler, Marketing Manager. Despite this resistance, the maps (made from rock) are also photodegradable, meaning that if dropped in the snow from a chairlift they will gradually decompose in sunlight, leaving no bootprint. New All Mountain Program - AMP: Organized by Jason Simpson, Panorama's Director of Mountain Sports for the past eight years, AMP is directed at 10 -14 year olds who want to explore all of Panorama's 2,975 acres (and who have probably surpassed their parents' proficiency or daring). Leading the camp is Cam McCullen, an Invermere ACMG guide and CSIA Level 3 instructor, and safety consultant and guide with Matchstick Productions. "We were very excited to get Cam, he is a perfect fit," said Jason over carafes of cabernet in the ski in/out T-Bar during après ski. Jason's theory is that ski racers can benefit from coming from a diverse background which includes big mountain skiing as well as racing gates: "I was skiing powder with Manny Osborne-Paradis recently - our 'Director of Speed'. He said that the coaches he had fun with at Whistler during his youth inspired him the most, free riding rather than gates. 'Manny,' I said, 'we should re-invent skiing. We would need to take kids over a 15-year study to see the results. No more downhill suits, just one pair of skis'. 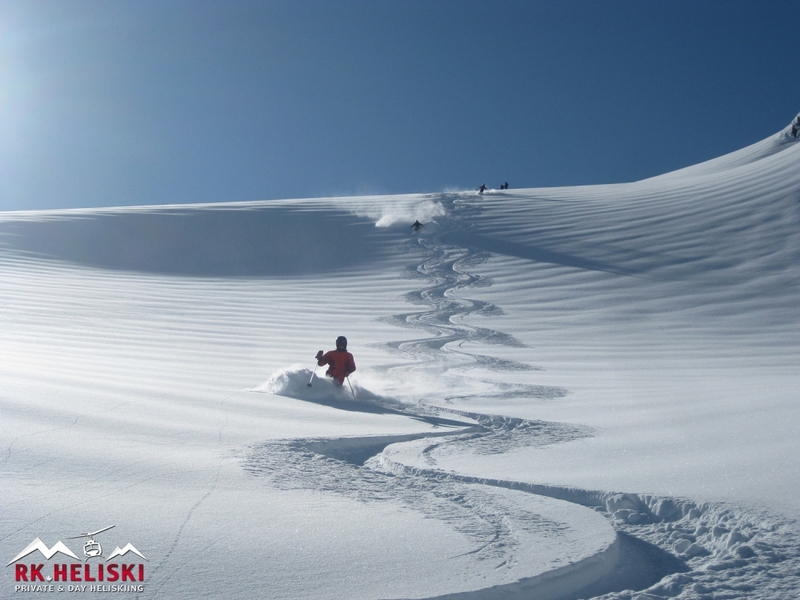 I think we could produce amazing professional skiers that really love the mountain." He wants the Crazy Canucks back! After years working at Whistler and then Lake Louise, Jason is now a fervent Panoramian: "We’re not corporate, we’re stand alone so we have to be creative," he says. 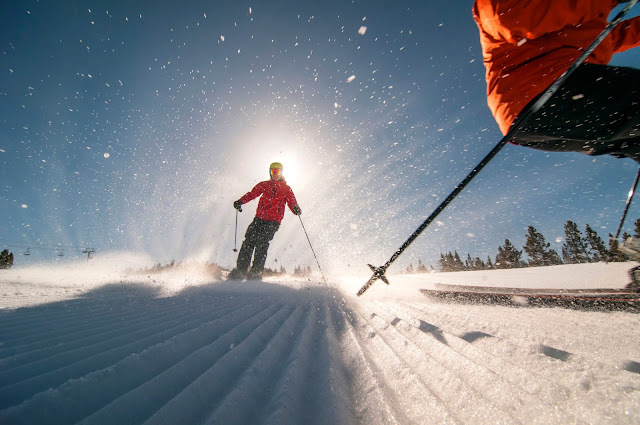 "We're heading for the five-star feel - like a Deer Valley - wide slopes, perfect snowmaking and grooming, not too many people, and a focus on providing great service." Worthy of Deer Valley-decadence, the resort already runs a heli-fondue excursion to the Summit Hut, complete with drinks on the patio or by the roaring fire, cheese and chocolate fondue and a ski down with lamps on helmets costing $110 each for groups of ten. Jason hopes that future plans to expand Panorama's events, activities, and attractions will also help fill any shoulder-season gaps. Already the resort has a popular music festival, High Notes, coming up in March. First time on a snowmobile! New Tempting Terrain: With 2,975 acres, Panorama has 75 percent beginner and intermediate terrain, including glades that are perfect for youngsters or those practicing tree skiing techniques. But the focus this year is on the other 25 percent. Taynton Bowl, a former heli domain, has been an in-bounds, patrolled and avalanche-controlled area for several years now, heralded by dramatic wooden gateways onto the mostly double black diamond topography. Even though it looks and feels like off-piste, no backcountry gear is necessary. But this year Panorama opened 250 acres of new hike-in Monster territory, the beginning of an even larger 1000-acre back bowl expansion. I got to try it out this January without the hike! I was whisked up what would be a 25 min schlep on a snowmobile, courtesy of ski patrol manager Neil Carey, with Jamie Hurschler and hardy hubby Simon Hudson hanging onto the back by tow rope like wavering waterskiers. Reaching the Plateau - without any spills - we looked out over The Monster, an amazing expanse of 1000 alluring acres blueprinted for gradual development. With its colourful larches, tarn and climbable ridges, the area is already used in the fall for guided hiking tours. And there is a chairlift mooted to make future access easier. Neil told us about the huge winch girders that were set in the ground in summer to facilitate snow safety management which is conducted early season by winched snowcat and huge teams of bootpacking patrollers and volunteers. It was a little scary skiing from the top for the first time, the double black slope dropping off steeply, then narrowing with a cliff area to avoid, but once past those hurdles, it became a powder playground with huge terrain variety, through bumps, gulleys, glades, and open sections. You end up joining the Taynton Turnpike, a serene and effortless cat track through forest and frozen alder bushes, back to the front lift system. Feeling a sense of achievement, it's a great backcountry adventure which the resort intends to commemorate soon with a new Arrowhead Monster brew. Look out, too, for new Monster snowcat tows. Olympian Dave Irwin, of Crazy Canuck fame, and wife Lynne Harrison, who designs Alchemy of Ride skiwear, are both big Panorama advocates. "Great skiing, great grooming, and great fall line skiing," says Lynne. "The village is awesome with something for everyone. And it is all so family-oriented as the hill flows to the village beautifully." She also loves skiing the backcountry with RK Heliski: "It's a fabulous experience, super fun in the spring when I did it and excellent customer service with a fantastic picnic lunch." 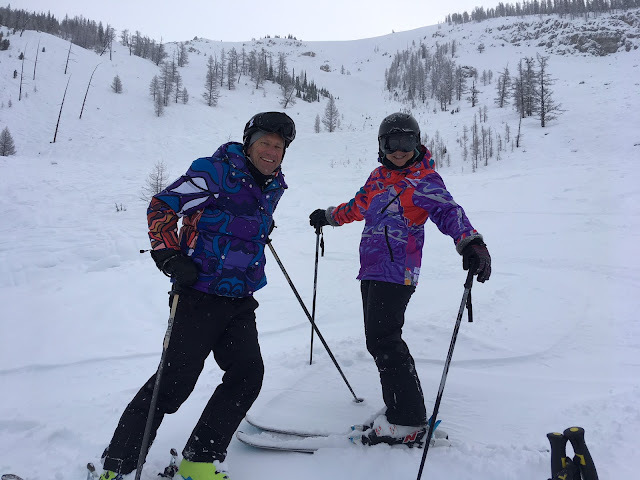 The Canmore-based couple are currently publicizing Lynne's new range of Alchemy of Ride skiwear, visiting multiple ski resorts to spread the word that bright patterns are the latest trend on the slopes.